The "first military junta" - Admiral Emilio Massera, Lieutenant General Jorge Videla and Brigadier General Orlando Agosti (from left to right) - observing the Independence Day military parade on Avenida del Libertador, July 9, 1978. The National Reorganization Process (Spanish: Proceso de Reorganización Nacional, often simply el Proceso, "the Process") was the name used by its leaders for the military dictatorship that ruled Argentina from 1976 to 1983. In Argentina it is often known simply as la última junta militar (the last military junta) or la última dictadura militar (the last military dictatorship) or la última dictadura cívico-militar (the last civil-military dictatorship), because there have been several in the country's history. 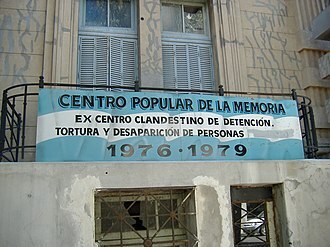 The Argentine military seized political power during the March 1976 coup, as part of the Operation Condor over the presidency of Isabel Perón, widow of former President Juan Domingo Perón; a time of state terrorism against civilians (as well as neoliberal economic policies) started, with the dictatorship labeling its own use of torture, extrajudicial murder and systematic forced disappearances as "a Dirty War". After losing the Falklands War to the United Kingdom in 1982, the military junta faced mounting public opposition and finally relinquished power in 1983. Almost all of the Junta members are currently serving sentences for crimes against humanity and genocide. Lieutenant General Jorge Rafael Videla swearing the Oath as he becomes the President of Argentina. The military has always been highly influential in Argentine politics, and Argentine history is laced with frequent and prolonged intervals of military rule. The popular Argentine leader, Juan Perón, three-time President of Argentina, was a colonel in the army who first came to political power in the aftermath of a 1943 military coup. 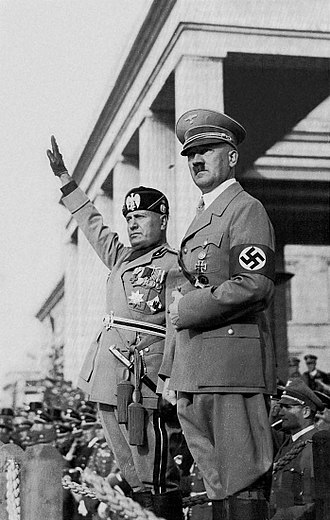 He advocated a new policy dubbed Justicialism, a nationalist policy which he claimed was a "Third Position," an alternative to both capitalism and communism. 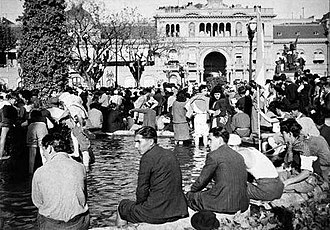 After being re-elected to the office of president by popular vote, Perón was deposed and exiled by the Revolución Libertadora in 1955. After a series of weak governments, and a seven-year military government, Perón returned to Argentina in 1973, following 18 years exile in Francoist Spain, amidst escalating political unrest, divisions in the Peronist movement, and frequent outbreaks of political violence. His return was marked by the 20 June 1973 Ezeiza massacre, after which the right-wing Peronist movement became dominant. Peron was democratically elected President in 1973, but died in July 1974. His vice president and third wife, Isabel Martínez de Perón, succeeded him, but she proved to be a weak, ineffectual ruler. 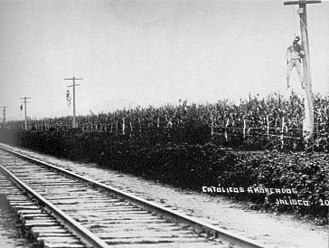 A number of revolutionary organizations – chief among them Montoneros, a group of far-left Peronists – escalated their wave of political violence (including kidnappings and bombings) against the campaign of harsh repressive and retaliatory measures enforced by the military and the police. In addition, right-wing paramilitary groups entered the cycle of violence, such as the Triple A death squad, founded by José López Rega, Perón's Minister of Social Welfare and a member of the P2 masonic lodge. The situation escalated until Mrs. Perón was overthrown. She was replaced on 24 March 1976 by a military junta led by Lieutenant General Jorge Rafael Videla. Final report from the Military Government about forced disappearances . (In Spanish) Source: Channel 7. Argentine Public Television. (1983). Official investigations undertaken after the end of the Dirty War by the National Commission on the Disappearance of Persons documented 8,961 desaparecidos (victims of forced disappearance) and other human rights violations, noting that the correct number is bound to be higher. Many cases were never reported, when whole families were disappeared, and the military destroyed many of its records months before the return of democracy. Among the "disappeared" were pregnant women, who were kept alive until giving birth under often primitive circumstances in the secret prisons. The infants were generally illegally adopted by military or political families affiliated with the administration, and the mothers were generally killed. Thousands of detainees were drugged, loaded into aircraft, stripped naked and then thrown into the Rio de la Plata or the Atlantic Ocean to drown in what became known as "death flights." The film The Official Story (1984), which won the Oscar for the Best Foreign Film category in 1985, addresses this situation. 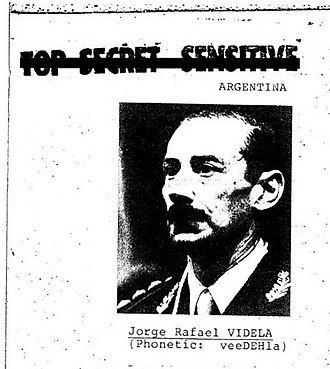 The Argentine secret service SIDE (Secretaría de Inteligencia del Estado) also cooperated with the DINA in Pinochet's Chile and other South American intelligence agencies. Eight South American nations supported endeavours to eradicate left-leaning terrorist groups on the continent, known as Operation Condor. 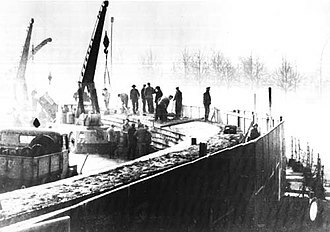 It is estimated to have caused the deaths of more than 60.000 people. SIDE also trained – for example in the Honduran Lepaterique base – the Nicaraguan Contras who were fighting the Sandinista government there. The regime shut down the legislature and restricted both freedom of the press and freedom of speech, adopting severe media censorship. The 1978 World Cup, which Argentina hosted and won, was used as a means of propaganda and to rally its people under a nationalist pretense. Corruption, a failing economy, growing public awareness of the harsh repressive measures taken by the regime, and the military defeat in the Falklands War, eroded the public image of the regime. 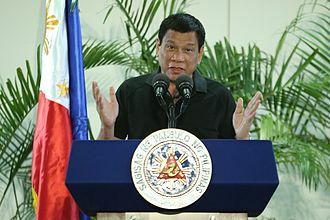 The last de facto president, Reynaldo Bignone, was forced to call for elections by the lack of support within the Army and the steadily growing pressure of public opinion. On October 30, 1983, elections were held, and democracy was formally restored on December 10 with President Raúl Alfonsín being sworn into office. Videla appointed José Alfredo Martínez de Hoz as Minister of Economy, charged with stabilizing and privatizing state-owned companies, along what would later be known as neoconservative lines. 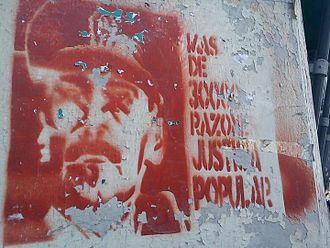 He was opposed by General Ramon Díaz, the Minister of Planning, who favored a corporatist model, with the state retaining control of key industries. 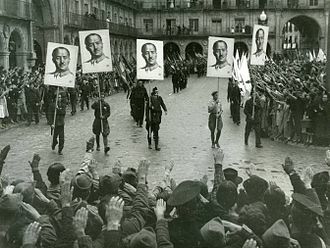 Although Díaz resigned, military officers, many of whom looked forward to jobs running state enterprises, blocked Martínez de Hoz's privatization efforts. Meanwhile, the Junta borrowed money abroad for public works and social welfare spending. Martínez de Hoz was forced to rely on high interest rates and an over-valued exchange rate to control inflation, which hurt Argentine industry and exports. Before the military government took office, 9% of the population lived in poverty (less than in France or the United States at that time) while the unemployment rate stood at 4.2%. The Junta's economic policies, however, led to a diminishing of living standards and an increase of inequalities. 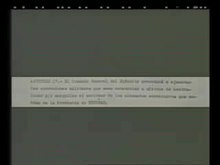 In 2003, French journalist Marie-Monique Robin said she had found in the archives of the French Ministry of Foreign Affairs a document that proved a 1959 agreement had been made between Paris and Buenos Aires that authorized a 'permanent French military mission' being assigned to Argentina. The group was formed of soldiers who had fought in the Algerian War and dealt with insurgents. It was located in the offices of the chief of staff of the Argentine Army. She documented that Valéry Giscard d'Estaing's government secretly collaborated with Videla's junta in Argentina and with Augusto Pinochet's regime in Chile. Green deputies Noël Mamère, Martine Billard and Yves Cochet passed a resolution in September 2003 for a Parliamentary Commission to be convened on the "role of France in the support of military regimes in Latin America from 1973 to 1984," to be held before the Foreign Affairs Commission of the National Assembly and presided over by Edouard Balladur. Apart from Le Monde, newspapers remained silent about this request. Deputy Roland Blum, who was in charge of the Commission, refused to let Marie-Monique Robin testify. In December 2003, his staff published a 12-page document that said no agreement had been signed between France and Argentina about military forces. But, Marie-Monique Robin had sent them a copy of the document she found showing such an agreement. When Minister of Foreign Affairs Dominique de Villepin traveled to Chile in February 2004, he claimed that no cooperation between France and the military regimes had occurred. Spanish judge Baltasar Garzón unsuccessfully attempted to question former United States Secretary of State Henry Kissinger as a witness in his investigations into the Argentine disappearances during one of Kissinger's visits to Britain, and Peter Tatchell was unable to have Kissinger arrested during the same visit for alleged war crimes under the Geneva Conventions Act. Following a decree of President Alfonsín mandating prosecution of the leaders of the Proceso for acts committed during their tenure, they were tried and convicted in 1985. (See Juicio a las Juntas) In 1989, President Carlos Menem pardoned them during his first year in office, which was highly controversial. He said the pardons were part of healing the country. The Argentine Supreme Court declared amnesty laws unconstitutional in 2005. 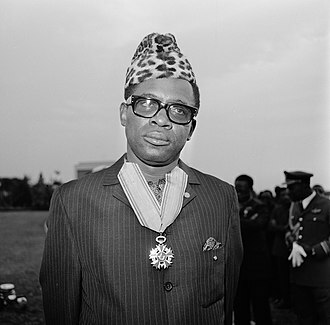 As a result, the government resumed trials against military officers who had been indicted for actions during the Dirty War. Adolfo Scilingo, an Argentine naval officer during the junta, was tried for his role in jettisoning drugged and naked political dissidents from military aircraft to their deaths in the Atlantic Ocean during the junta years. He was convicted in Spain in 2005 of crimes against humanity and sentenced to 640 years in prison. The sentence was later raised to 1080 years. Cristian Von Wernich, a Catholic priest and former chaplain of the Buenos Aires Province Police, was arrested in 2003 on accusations of torture of political prisoners in illegal detention centers. He was convicted at trial, and on October 9, 2007, the Argentine court sentenced him to life in prison. 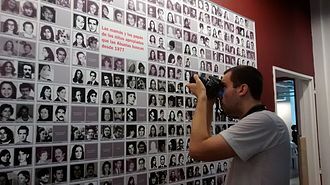 A major trial, nicknamed "the ESMA mega-trial", of 63 people accused of crimes against humanity (lesa humanidad) during the 1976–1983 dictatorship, including those involved in death flights, was reaching its close in July 2015. 830 witnesses and 789 victims were heard. There had been two previous trials after the Supreme Court struck down an amnesty the military dictatorship had granted its members; in the first the one accused committed suicide before a verdict was reached; in a 2009 trial twelve defendants were sentenced to life imprisonment. In December 2018, two former executives of a local Ford Motor Company plant near Buenos Aires, Pedro Muller and Hector Sibilla, were convicted for their involvement in the abduction and torture of 24 workers during the reign of the military junta. Lawyers involved in the case say this is the first time former executives of a multinational corporation operating in Argentina under the military junta have been convicted of crimes against humanity. 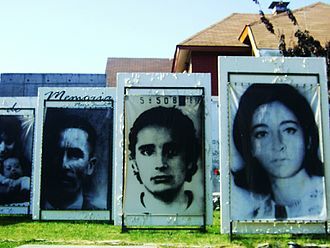 In 2002, the Argentine Congress declared the date of March 24 as the Day of Remembrance for Truth and Justice, in commemoration for the victims of the dictatorship. In 2006, thirty years after the coup d'état that started the Proceso, the Day of Memory was declared a national public holiday. The anniversary of the coup was remembered by massive official events and demonstrations throughout the country. ^ "La ǘltima dictadura military argentina (1976–1983)" (PDF) (in Spanish). 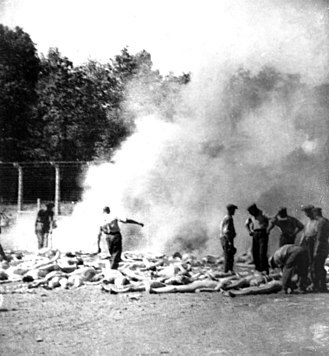 Online Encyclopedia of Mass Violence. Retrieved 4 May 2015. ^ a b "Nunca más". Desaparecidos.org. Retrieved 2015-02-22. ^ Calvin Sims (March 13, 1995). Argentine Tells of Dumping 'Dirty War' Captives Into Sea. The New York Times. Retrieved September 23, 2015. ^ Ed Stocker (November 27, 2012). Victims of 'death flights': Drugged, dumped by aircraft – but not forgotten. The Independent. Retrieved September 23, 2015. ^ Teresa Bo (November 29, 2012). Argentina holds 'death flights' trial. Al Jazeera America. Retrieved September 23, 2015. ^ Naomi Klein. The Shock Doctrine. Penguin Books. ISBN 978-0141024530. ^ "Marie-Monique Robin: Escadrons de la mort, l'école française – Présentation". Algeria-watch.org. Retrieved 2015-02-22. ^ "MM. Giscard d'Estaing et Messmer pourraient être entendus sur l'aide aux dictatures sud-américaines". LeMonde.fr. Retrieved 2015-02-22. ^ " Série B. Amérique 1952–1963. Sous-série : Argentine, n° 74. Cotes : 18.6.1. mars 52-août 63 ". ^ "N° 1295 – Rapport de M. Roland Blum sur la proposition de résolution de M. Noël MAMÈRE et plusieurs de ses collègues tendant à la création d'une commission d'enquête sur le rôle de la France dans le soutien aux régimes militaires d'Amérique latine entre 1973 et 1984 (1060)". Assemblee-nationale.fr. Retrieved 2015-02-22. ^ "Argentine : M. de Villepin défend les firmes françaises". LeMonde.fr. Retrieved 2015-02-22. ^ "Spanish judge seeks Kissinger". CNN. 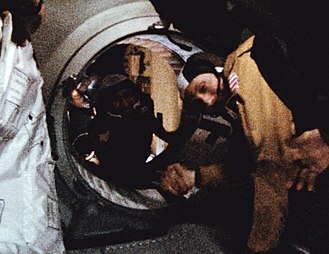 April 18, 2002. ^ "Kissinger: Mistakes were made". CNN. April 24, 2002. ^ "Americas | Argentine amnesty laws scrapped". BBC News. June 15, 2005. Retrieved 2015-02-22. ^ Garrison, Cassandra; Misculin, Nicolas (December 11, 2018). "Ex-Ford Argentina executives convicted in torture case; victims may sue in U.S." Reuters. Retrieved December 12, 2018. ^ The rank of brigadier-general in the Argentine Air Force is equivalent to 3-star or 4-star rank. Galasso, Norberto (2011). Historia de la Argentina, vol. I & II (in Spanish). Buenos Aires: Colihue. ISBN 978-9505634781. Horacio Verbitsky, OpenDemocracy.net, July 28, 2005, "Breaking the silence: the Catholic Church in Argentina and the 'dirty war'"
The coat of arms of the Argentine Republic was established in its current form in 1944, but has its origins in the seal of the General Constituent Assembly of 1813. 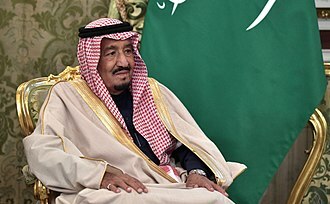 It is supposed that it was chosen quickly because of the existence of a decree signed on February 22 sealed with the symbol. The first mention of it in a document dates to March 12 of that same year, in which it is stated that the seal had to be used by the executive power, that is. On April 13 the National Assembly coined the new silver and gold coins, each with the seal of the assembly on the reverse and it is unknown who designed the coat of arms. The coat of arms is a figure, in which at the top we find the gold-yellowed Sun of May and it must be noticed how the verb rise, and so in Spanish, can be used to describe the motion of the Sun. In the center there are two shaking hands, connoting the unity of the provinces of Argentina. The hands come together to hold a pike, which power and willingness to defend freedom. 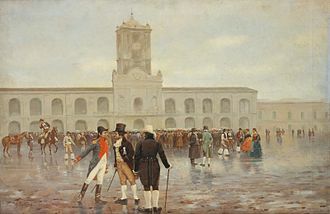 The blue and white colors are symbols of the Argentine people and those derive from those utilised in the cockade promoting liberation from Spain, in the May Revolution in 1810, which in turn came about from the colours of the Borbonic dynasty. Roberto Eduardo Viola was an Argentine military officer who briefly served as president of Argentina from March 29 to December 11,1981 as a military dictatorship. He was born as Roberto Eduardo Viola Prevedini on October 13,1924, Viola appointed Lorenzo Sigaut as finance minister, and it became clear that Sigaut were looking for ways to reverse some of the economic policies of Videlas minister José Alfredo Martínez de Hoz. Notably, Sigaut abandoned the sliding exchange rate mechanism and devalued the peso, after boasting that they who gamble on the dollar, argentines braced for a recession after the excesses of the plata dulce years, which destabilized Violas position. Viola was the victim of infighting within the armed forces, the mainstream of the Juntas support was strongly opposed to Masseras designs and to any attempt to bring about more populist economic policies. The official explanation given for the ousting was Violas alleged health problems, galtieri swiftly appointed Roberto Alemann as finance minister and presided over the build-up and pursuit of the Falklands War. The flag of Argentina is a triband, composed of three equally wide horizontal bands coloured light blue, and white. There are multiple interpretations on the reasons for those colors, the National Flag Memorial was built on the site. The First Triumvirate did not approve the use of the flag and it was the Congress of Tucumán which finally designated it as the national flag, in 1816. A yellow Sun of May was added to the center in 1818, the full flag featuring the sun is called the Official Ceremonial Flag. The flag without the sun is considered the Ornamental Flag, while both versions are equally considered the national flag, the ornamental version must always be hoisted below the Official Ceremony Flag. In vexillological terms, the Official Ceremonial Flag is the civil and war flag and ensign, while the Ornamental Flag is a civil flag. The flag of Argentina was created by Manuel Belgrano during the Argentine War of Independence, while in Rosario he noticed that both the royalist and patriotic forces were using the same colors, Spains yellow and red. 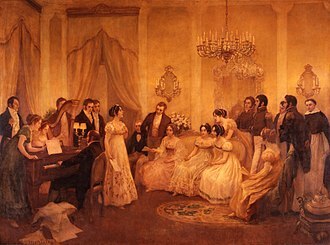 After realizing this, Belgrano created the Cockade of Argentina, which was approved by the First Triumvirate on February 18,1812, encouraged by this success, he created a flag of the same colours nine days later. It used the colors that were used by the Criollos during the May Revolution in 1810, the flag was first flown for soldiers to swear allegiance to it on 27 February 1812, on the Batería Libertad, by the Paraná River. Let us swear to defeat our enemies and external, in testament that you so swear it, say with me, LONG LIVE THE FATHERLAND. 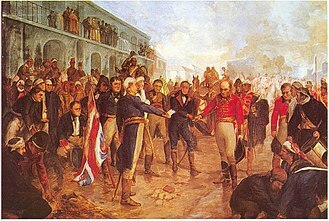 Lord Captain and troops chosen for the first time for the Independence Battery, go, take possession of it, Belgrano dispatched a letter addressed to the First Triumvirate, informing them of the newly created flag. Meanwhile, the flag was hoisted for the first time in Buenos Aires atop the Church of Saint Nicholas of Bari on August 23,1812, where nowadays the Obelisk of Buenos Aires is located. Still not knowing about the Triumvirates refusal, Belgrano raised the flag at San Salvador de Jujuy and had it blessed by the church on the second anniversary of the May Revolution. Reynaldo Benito Antonio Bignone is a retired Argentine general who served as dictatorial President of Argentina from July 1,1982, to December 10,1983. In 2010, he was sentenced to 25 years in prison for his role in the kidnappings, along with Basilio Lami Dozo and Omar Graffigna, he is one of the last surviving members of the military dictatorship. Reynaldo Benito Antonio Bignone Ramayón was born in Morón, Buenos Aires, enlisting in the Argentine Army in 1947, he enrolled at the prestigious National War College, and was stationed in Spain. After numerous assignments, Bignone returned to Argentina to be named head of the General Viamontes Infantry Regiment in 1964, and directed the National War College. An August 1975 reshuffling of the Armed Forces High Command by President Isabel Martínez de Perón resulted in the appointment of General Jorge Videla to the post of Chairman of the Joint Chiefs. A quiet career military officer, Videla brought with him a number of protégés, among them Brigadier General Bignone, the military reacted to worsening economic and security conditions by conducting a March 24,1976 coup détat against Mrs.
Perón. On March 28, Bignone led a regiment into the Alejandro Posadas Hospital in the western Buenos Aires suburb of Haedo and he converted a wing in the respected medical facility into his personal Chalet. Bignones quiet administration of the facility earned him a promotion as head of Area 480, a detention center in Argentinas most important military training base. Of the 4,000 prisoners detained at the facility during his 1976–78 tenure,50 survived and he was appointed as Director of Military Institutes by President Videla in 1980. Bignone retired from the Armed Forces following Videlas decision to power to General Roberto Viola in March 1981. Argentinas defeat by the United Kingdom in the Falklands War on June 16,1982, led not only to President Galtieris resignation, the Chiefs of Staff of all three services resigned. Bignones association with Videla, and his low profile before and after retirement, josé María Dagnino Pastore, as Minister of the Economy. Dr. Domingo Cavallo, a young, relatively unknown former adviser, was appointed as head of the Argentine Central Bank, Dagnino Pastore canceled his predecessors wage freeze. The peso is the currency of Argentina, identified by the symbol $ preceding the amount in the same way as many countries using dollar currencies. It is subdivided into 100 centavos and its ISO4217 code is ARS. Several earlier currencies of Argentina were called peso, as inflation progressed a new currency with a few zeroes dropped, since 1970, thirteen zeroes have been dropped. As of October 2014, the rate was about 8 pesos per dollar, by February 2015, it was 10 per US dollar. The peso introduced in 1992 is just called peso, and is preceded by a $ sign only. The peso was an often used for the silver Spanish eight-real coin. Following independence, Argentina began issuing its own coins, denominated in reales and escudos and these coins, together with those from neighbouring countries, circulated until 1881. In 1826, two paper money issues began, denominated in pesos, the peso fuerte was a convertible currency, with 17 pesos fuertes equal to one Spanish ounce of 0.916 fine gold. It was replaced by the peso moneda nacional at par in 1881, the non-convertible peso moneda corriente was introduced in 1826. It started at par with the peso fuerte, but depreciated with time, although the Argentine Confederation issued 1-, 2- and 4-centavo coins in 1854, with 100 centavos equal to 1 peso =8 reales, Argentina did not decimalize until 1881. The peso moneda nacional replaced the earlier currencies at the rate of 1 peso moneda nacional =8 reales =1 peso fuerte =25 peso moneda corriente, one peso moneda nacional coin was made of silver and known as patacón. However, the 1890 economic crisis ensured that no silver coins were issued. At the beginning of the 20th century, the Argentine peso was one of the most traded currencies in the world. The Argentine gold coin from 1875 was the gold peso fuerte and two-thirds of a gram of gold of fineness 900, equivalent to one and this unit was based on that recommended by the European Congress of Economists in Paris in 1867 and adopted by Japan in 1873. The monetary system before 1881 has been described as anarchistic. Law 1130 of 1881 put an end to this, it established the unit as the peso oro sellado, a coin of 1.612 grams of gold of fineness 900. On 20 December 2006, the United Nations General Assembly adopted the International Convention for the Protection of All Persons from Enforced Disappearance. The victim in such a case is abducted, illegally detained and often tortured during interrogation, typically, a murder will be surreptitious, with the corpse disposed of to escape discovery so that the person apparently vanishes. The party committing the murder has plausible deniability, as nobody can provide evidence of the victims death, disappearing political rivals is a way for regimes to engender feelings of complicity in populations. The difficulty of fighting a government that murders in secret can result in widespread pretense that everything is normal. In international human rights law, disappearances at the hands of the state have been codified as enforced or forced disappearances since the Vienna Declaration and Programme of Action. 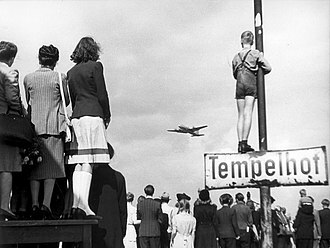 There is some authority indicating that enforced disappearances occurring during armed conflict, such as the Third Reichs Night and Fog program and its main task is to assist families in determining the fate or whereabouts of their family members who are reportedly disappeared. In August 2014, the Working Group reported 43,250 unresolved cases of disappearances in 88 different States and it gives victims families the right to seek reparations, and to demand the truth about the disappearance of their loved ones. The Convention provides for the not to be subjected to enforced disappearance. The Convention further sets forth the obligation of international co-operation, both in the suppression of the practice, and in dealing with aspects related to the crime. The Convention establishes a Committee on Enforced Disappearances, which will be charged with important and innovative functions of monitoring, currently, an international campaign of the International Coalition against Enforced Disappearances is working towards universal ratification of the Convention. Disappearances entail the violation of fundamental human rights. Their families, who spend the rest of their lives searching for information on the disappeared, are victims. NGOs such as Amnesty International or Human Rights Watch record in their report the number of known cases of forced disappearance. Manuel Belgrano holding the flag. The priest Juan Ignacio Gorriti blessing the flag. Seal of a French group in the National Assembly, around 1793. 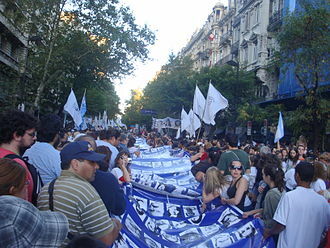 Flag with images of those who disappeared during a demonstration in Buenos Aires to commemorate the 35th anniversary of the 1976 coup in Argentina. 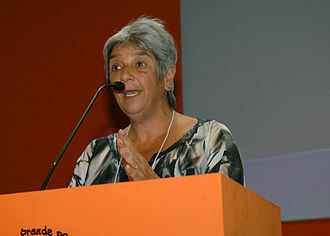 Lilian Celiberti during a speech in the World Social Forum. Porto Alegre, 2010. Ángel Borlenghi, an erstwhile socialist who, as Interior Minister, oversaw new labor courts and the opposition's activities. Royal Navy Fleet Air Arm Sea Harrier FRS1. The gloss paint scheme was altered to a duller one en route south. 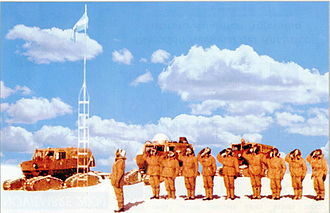 Soldiers saluting the flag at the South Pole. 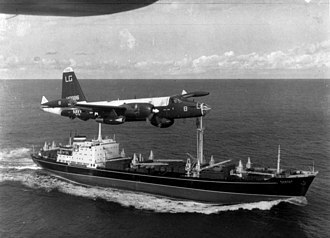 Super Étendard in the Falklands War. The Massive Ordnance Air Blast (MOAB) bomb produced in the United States is the second most powerful conventional bomb in the world. A "wind-and-dust" bomb depicted in the Ming Dynasty book Huolongjing. The pot contains a tube of gunpowder, and was thrown at invaders. An illustration depicting early bombs thrown at Manchu assault ladders during the siege of Ningyuan, from the book Thai Tsu Shih Lu Thu (Veritable Records of the Great Ancestor) written in 1635. The bombs are known as "thunder-crash bombs." An illustration of a fragmentation bomb from the 14th century Ming Dynasty text Huolongjing. The black dots represent iron pellets. 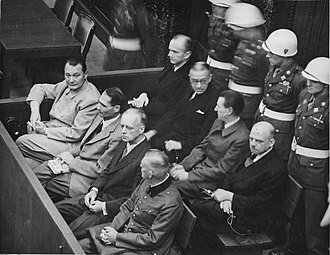 The defendants at the Tokyo International Tribunal. 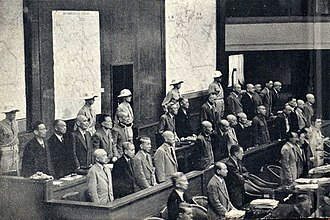 General Hideki Tojo was one of the main defendants, and is in the centre of the middle row. 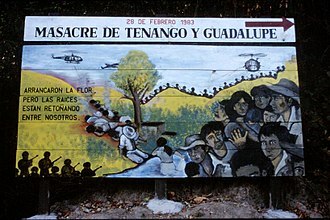 On December 11, 1981, units from the Salvadoran Army killed 800 civilians, over half of them children, in the village of El Mozote. The disappeared students and professors; School of Law of the University of Chile. In her capacity as both Vice President and First Lady, Isabel Perón (left) hosts Romanian President Nicolae Ceaușescu and his wife, Elena, in March 1974. President Perón is at right. 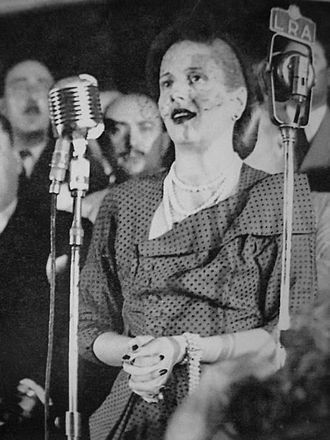 José López Rega, while officially Minister of Social Welfare, broadly vetted Mrs. Perón's domestic and foreign policy until protests forced him to flee to Spain in July 1975. French transcription for piano by Luis Messemaeckers, published in 1822. This is the oldest sheet music found of the Argentine national anthem outside of Argentina. Music sheet found in Santa Ana de Velasco, Bolivia, c. 1860.